The Photo Galleries are Here!! Thank you to Blake Photography, Judy (Thompson) Sebesta and Gary Hamilton for the photos that have been submitted from our 50th Reunion Events. The Photo Galleries are open for uploading photos from other classmates as well. Please share your photo memories with us. 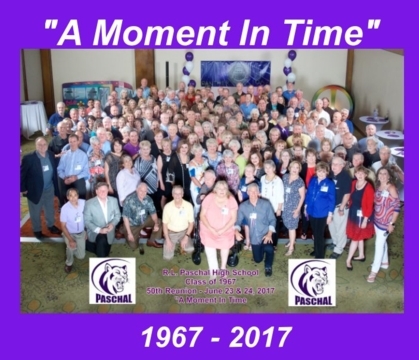 These photo galleries are made available ONLY to the classmates of the Paschal Class of 1967 who have registered on our website. Please use these photos responsibly as a memory of our 50th Reunion. These photos are automatically compressed by the website and may not be the best quality for manual printing. Alternatively, we are providing two other options described below. The book-link below will take you to another website where you can purchase a 10" x 8" hardback Memory Photo Book containing the photos from our 50th Reunion events. This book includes the planning committee meetings, decorating for the events, the two-night events and the photo booth photos. The book would be delivered directly to you and there is no obligation or profit associated with the purchase. 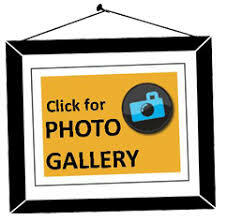 These photo galleries are open to uploading your photos from the events as well. Please share your memories.